Central Park has to be one of the most famous parks in New York city. This stunning park covers over 843 acres and is located between 5th and 8th Avenue, 59th and 11th streets. This amazing location is the most visited urban park located in the US with over 40 million foreign visitors each year. It is also very popular with film makers and is one of the most filmed parks in the world! There are many things for you to do whilst in Central Park. You may choose to follow the different trails the park has to offer, or you may look for a specific attraction in the park; each visit and season offers something different. Some of the popular attractions include William Shakespeare’s Balto, Belvedere Castle with its stunning views, and The Obelisk which is the oldest public monument in the North of America. . This stunning park has a 55-acre Great Lawn, many man-built lakes, and lots of bridle paths to follow. Many of the grassed areas are surrounded by stunning cherry blossom trees. There is also a wildlife sanctuary on site and a 106-acre reservoir. Throughout the year, many activities are held at Central Park, from Picnic in the Park to a Kids’ Adventure Theatre. Central Park definitely has something to offer each of its visitors and it is a brilliant place to go to relax and unwind. This is another amazing place to relax whilst visiting New York city. This Bronx oasis offers 50 unique gardens including a sublime lilac collection and a new azalea area. You can explore the stunning gardens on foot or by tram. Why not relax by smelling the masses of stunning flowers and listening to the sound of peace and quiet? The most relaxing parts of the Botanical Gardens are the Bronx River waterfall and the native forest. Coney Island is the perfect destination to relax and unwind and is well known for its beaches. This fun place offers a mixture of boulevards, rollercoasters and stunning beaches. Coney Island has the only aquarium available in New York City, where you can see sea lions, penguins, walrus, otters and sharks in their habitats. This amazing aquarium also has an aqua theater where trainers perform with sea lions. Another popular place to visit is the amphitheater which is situated on the Boardwalk. Many different bands and singers perform here. It is a half indoor, half outdoor theater and is particularly nice to visit in the summer when the sun is shining. Another popular tourist destination at Coney Island is Brighton Beach. This unique part of New York City is also known as “Little Odessa” or “Little Russia” after the Ukrainian City where lots of the Brighton Beach immigrants arrived from. The bars and restaurants offer an Eastern-European experience and most people speak in an Eastern-European language. If you are planning on travelling to Coney Island at the beginning of summer, then the Coney Island Mermaid Parade is something not to be missed. This parade features thousands of people dressed as mermaids and other sea creatures. Included in this parade is a celebrity mermaid and merman, who after the parade are crowned as king and queen. This family friendly event is usually held on the first day of summer, so make sure you don’t miss it! If you’re after a little bit more excitement, then Luna Park may be perfect for you and it’s free to enter. This theme park offers rides including an 87-year-old roller coaster and a 150-foot Wonder Wheel. It has recently undergone a complete renovation and is very popular with tourists. Surrounding the rides are some small kitschy shops and fast food stalls. Another popular attraction at Coney Island is the Sideshows by the Seashore. Here you can see some amazing actors performing things such as fire eating and snake charming. The Sideshows by the Seashore are seen as a way to remember how Coney Island used to be and how much it has changed. And many more! Since 2010, the zoo has been home to more than 4,000 animals including up to 650 different species. Many of the animals at the zoo are considered endangered or threatened. The Staten Island Ferry is perfect for people who are wanting to relax and unwind. This ferry travels between the southern tip of Manhattan to the borough. This trip is a relaxing and free way to experience the stunning views of New York Harbour. You will see the developing Hudson River Park on the west side, which when complete will run from 59th Street to Battery Place. Hudson River Park when complete will be the biggest open space development in 150 years in Manhattan. This relaxing ferry trip lasts approximately 25 minutes and is available 24 hours a day, 7 days a week. Boats usually leave the harbour every 15 to 20 minutes in peak periods, meaning you won’t have to wait long before you can enjoy this experience. New York City is one of the most densely populated places in the US. It is also very popular with tourists with over 60 million visiting each year. New York has a lot to offer its visitors from popular attractions to plenty of places to relax and unwind. With so much to offer, maybe you should consider taking a guided tour around the city to make sure that you don’t miss out on any of the top attractions. 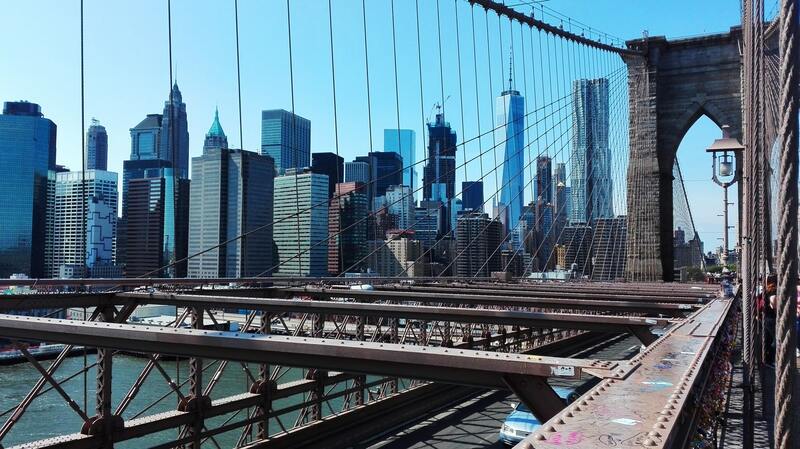 New York has something to offer everyone, who wouldn’t want to visit this amazing city? I know I would!